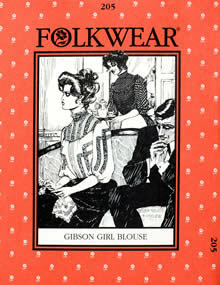 The Gibson Girl was the ideal of feminine beauty at the turn of the 20th century, and by 1905, the Sears Roebuck catalogue offered 150 versions of this blouse. The high-collar, back-buttoning yoke style is still just as flattering today. 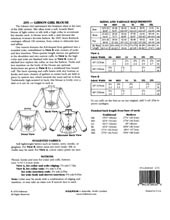 Instructions for optional tucks and lace insertion included. Misses 6-16.